Like becoming a parent, there are no requirements or required education to becoming a startup founder. In both cases, the job starts with a “seed”—in the case of the startup, a good idea—that grows. Lack of preparedness leaves a lot of newbies in the lurch—how does one do the basics of baby raising or business building? 1. How big is the market opportunity? 3. How will you defend against competition—i.e., what’s your unique value proposition? What’s so great—and refreshing—about this book is that it speaks to the novice, without condescension. Ash is not trying to impress the reader—he’s trying to teach the reader. And he does so exceptionally well. Don’t have the foggiest idea how to do back-of-the-envelope estimates? No worries, Ash will show you. Don’t understand the exact steps to get from idea to scale? No worries, Ash will show you. Don’t know how to validate Problem/Solution fit or Product/Market fit? No worries, Ash will show you and provide you with a cool one-page framework to do so: The One-Page Validation Plan. 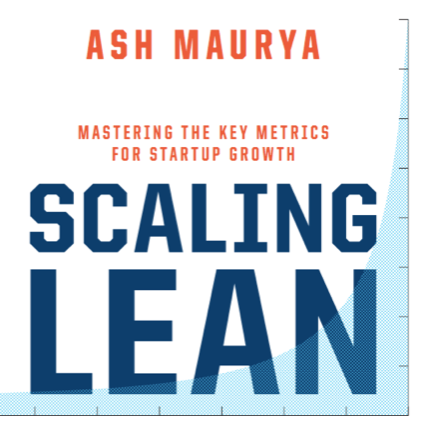 Scaling Lean is a basic field guide for those who want ground floor learning and a step-by-step blueprint for modeling startup success. Every page includes formulas, tips, tools and frameworks (in words—and pictures) to break down complex concepts and ideas to their most simple form. I love this book. It’s a keeper—and deserves a spot on the bookshelf of every startup founder.